PennsylvAsia: Photos of Conflict Kitchen's trip to Anyang. Earlier this month Conflict Kitchen shared photos of their August trip to Anyang, South Korea, made in preparation for their North Korean menu this fall. 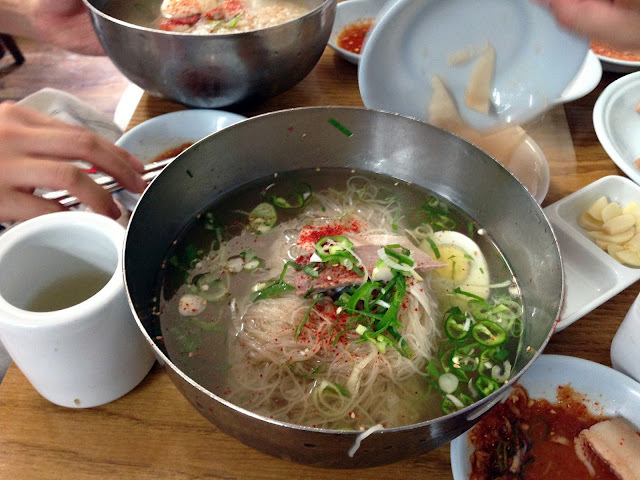 Naengmyeon (냉면), a specialty of Pyeongyang and of numerous South Korean cities, too. Conflict Kitchen is "a take-out restaurant that only serves cuisine from countries with which the United States is in conflict" located in Schenley Plaza in Oakland.